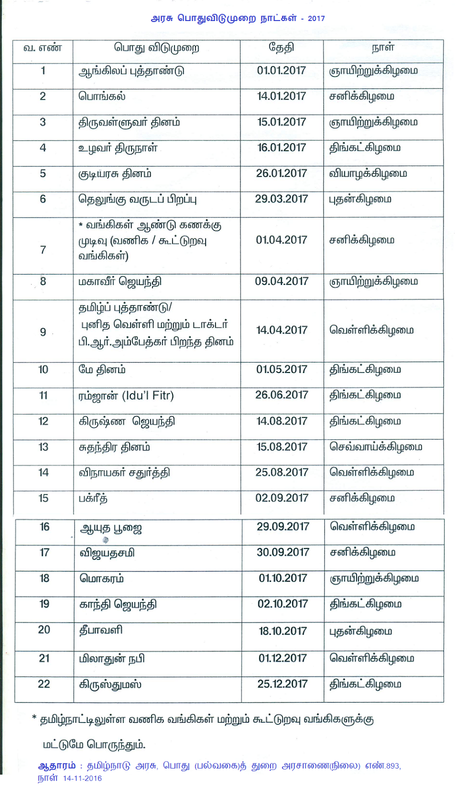 Tamilnadu Government has declared official holidays list for the year 2015. 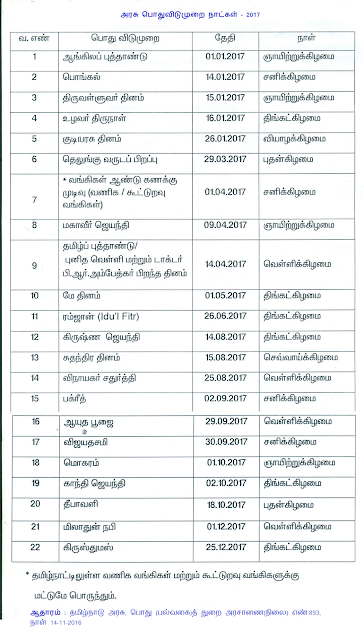 The official holidays list was released by Tamil Nadu Government Chief Secretary Mohan Verghese Chunkath . The Year 2015 has total 24 government holidays.